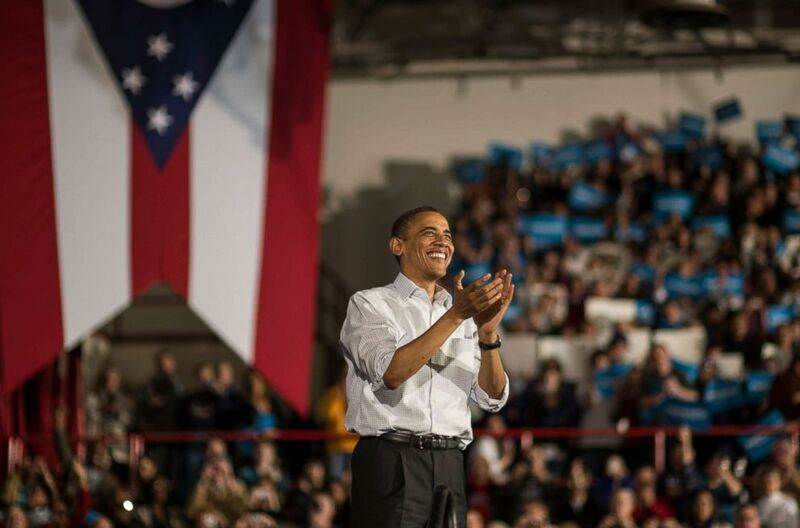 Continuing his reemergence on the campaign trail in the lead up to the 2018 midterm elections, former President Barack Obama urged a crowd of roughly 3,000 people gathered on a hot and humid late summer night in Cleveland, Ohio, to "restore some sanity to our politics, and give the power back to the American people." 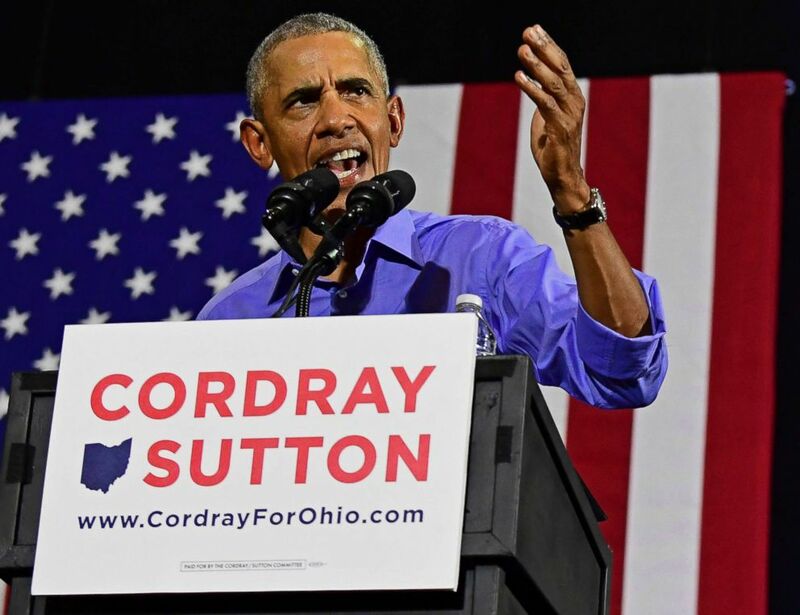 Former President Barack Obama speaks as he campaigns in support of Ohio gubernatorial candidate Richard Cordray, Sept. 13, 2018, in Cleveland. "Instead of being a check...what you're seeing is Republicans in Congress who are bending over backwards to try shield and deflect oversight of this behavior and accountability and consequences," Obama added, "This is serious. You know it is. And frankly even some of the Republicans know it is. They will say it, they just don’t do anything about it." The 44th president took more than one implicit swipe at President Donald Trump, criticizing the current administration's decision to enforce an immigration policy that led to the separation of some immigrant children from their families at the U.S.-Mexico border earlier this year. President Barack Obama wraps up his speech during a campaign stop in Mentor, Ohio, on Nov. 3, 2012. 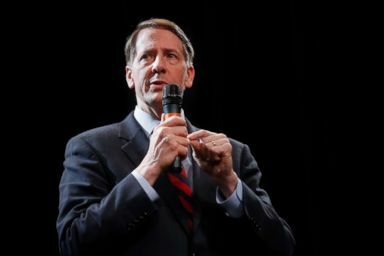 Richard Cordray speaks during the Ohio Democratic Party's fifth debate in the primary race for governor, April 10, 2018. 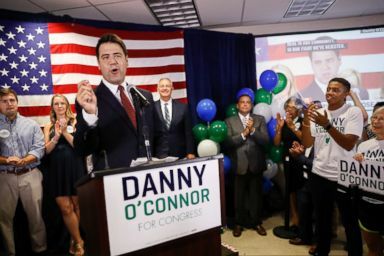 Danny O'Connor, the Franklin County recorder, speaks during an election night watch party at the Ohio Civil Service Employees Association, Aug. 7, 2018, in Westerville, Ohio. More retreat yesterday from current squatter leadership at CFPB, this time closing an investigation into the predatory practices of a payday installment lender that had given money to the alleged acting director’s campaign. The fish rots from the head down.